Dryvit or EIFS finishes have been popular over the last several years. EIFS stands for Exterior Insulating Finish System. Dryvit is one manufacturer of an EIFS system. Like anything else as EIFS gets older some maintenance is required. Below is a list of things to look for when checking your building. Questions related to cleaning and maintaining EIFS can be answered by referring to Dryvit product bulletins DS208 and DS235. You can call Dryvit at (800) 556-7752. 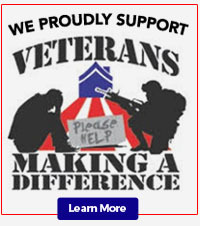 The web address is http://www.dryvit.com. Currently the recommended caulk joint should be 3/4" wide with a backer rod or bond break tape behind the caulk so the caulk adheres to two surfaces. This allows the caulk to move and stretch if the dissimilar materials move, keeping a water tight bond. Caulk should be checked each year and replaced if cracked or if it is coming loose. Caulk joints should be placed around windows and doors as well as anywhere the EIFS abuts dissimilar materials. The foam EPS may not be next to the caulk. All foam must be covered with base coat and mesh (Lamina) before being caulked. When re-caulking, the joint should be coated with demandit (acrylic latex paint) before caulking. Check expansion joints to insure water tightness. There should be no discoloration of the dryvit at the joint. This is caused by movement of the wall. The dryvit must be repaired to make it water tight and the source of the movement must be eliminated. Discoloration of the surface is common on the north side of the building behind shrubbery or in a moist environment in the form of surface mold. This can be removed by using a bleach solution applied with a garden sprayer and then flushed with water. The bleach solution should be 3 parts water and 1 part bleach. Care must be taken not to kill the shrubbery with the bleach solution. Power washing with pressure over 600 psi is not recommended. As the years go by the wind and the rain wear the surface of the EIFS. When you see the aggregate, or the small stones that comprise the finish coat, showing through to the surface, a coating of Demandit or Weatherlastic paint can be applied to make the building look new again. Demandit - acrylic latex paint used to change the color or to brighten up old EIFS. Paint will not fill the spider cracks on the back wall or hide the differences in texture when it is patched. Weatherlastic is an Elastimeric Paint offered by Dryvit. It can provide its own texture and can hide spider cracks and other imperfections in the existing surface. Another option is to use Freestyle finish, over the existing finish, which will make the existing surface smooth and then use the normal Dryvit finish coat to reapply the top coat. 1) Conduction is direct heat flow through matter (molecular motion). The R-value of insulation material is directly related to the resistance to conduction of the material. 2) Convection is the transport of heat within liquid or gas. 3) Radiation is the transmission of electromagnetic rays through space. Some manufacturers tout "U-factors" related to their products which is a combination of all three factors above. For instance a door system may have a high R-value due to good conduction properties but convection and radiation properties are poor. It would then cause a poor U-factor. U-factors have a inverse relationship to R-values in that the lower the U-factor the better the rating. Low "E" glass is named for low-emissivity. This is accomplished through metal coatings on glass that can not be seen, but allow the shortwave radiation of solar energy to pass through. It does however block most of the long-wave energy from trying to get back out. Low E windows are available ready made from the factory, where the thin plastic film with the metal coating is suspended between the glass panes. The low E films can also be applied to existing windows. Low E windows are best suited for heating dominated climates or climates where heating and cooling are required. Green Construction is a buzz word that means environmentally friendly systems or "sustainability". Which means is has no negative environmental burden. This is something that you will hear about more in the future as green initiatives will be promoted by our government. You can learn more about this topic on the web at www.epa.gov/fedsite/cd/green.html. If you have questions about insulating systems please call us and we will gladly discuss options with you. We have done many high R-value projects as well as cold storage buildings. 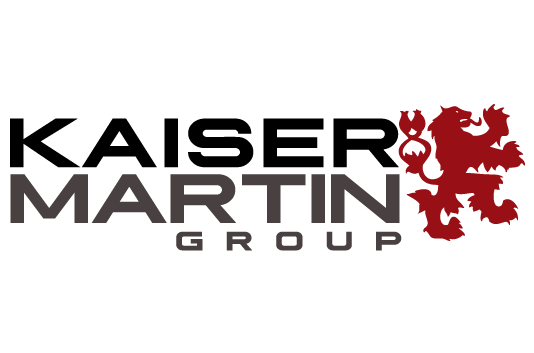 At The Kaiser Martin Group our focus is to meet customer needs. Although most of the construction services that we provide are on a Design/Build basis our primary goal is to meet the needs of our customer and we can execute all delivery methods. Public projects tend to be Design�Bid� Build, but even large projects that were traditionally Design-Bid-Build are moving to other delivery options. As with other businesses of the future customers will expect nimble full service providers who are able to meet the need of customers with greater speed, fewer surprises, minimizing risk, and with less bureaucratic procedures. Construction delivery options refers to how are you going to employ those involved in your construction project and what is your contractual relationship with those that you employ. There are many different variations of the three options that we are discussing here but for simplicity we will discuss three basic project delivery methods. 2. There are three liner phases of construction: Design, Bidding, and Building. 3. Carefully crafted documentation for bidding is established. Negotiated- The owner negotiates with one or more contractors and chooses the one he feels is best for the project. This decision is usually based on confidence trust and relationship as well as cost. Provides reliable market price for the construction of the project. Choose architect / engineer carefully and review documents closely. You will usually pay high extra costs for change orders if your architect or engineer produces inaccurate documents or omits something that you need in your project. Monitor the construction process closely. The decision was based on the lowest price. Make sure you do not get the lowest quality. This delivery system can have one or two contracts with the General Contractor (GC) in charge. The GC will employ the professionals required to complete the project. "Phase Overlapping" is possible (Design and Build) which can help to fast track the project. 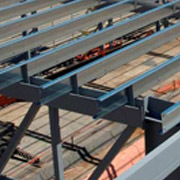 Pre-Construction services are provided by a single source. Clear quality standards are discussed and agreed during design phase. A detailed description of the project is provided by the design/ builder rather than specifications from the architect. A Guaranteed Maximum price (GMP) can be established after the design phase is complete. �	Early cost estimating input from the GC. �	A GMP can be established early. Costs are put on conceptual design ideas as they are developed. �	Architectural and Engineering fees are lower as the scope of their work is lower. �	Time can be saved because construction can begin before the design is complete. �	Chances of misunderstandings over contract documents are minimized. �	High cost change orders due to inaccurate documents and omissions is eliminated. �	Roles of team members are less adversarial than in a design-bid-build relationship. �	Lower risk for the owner due to having a GMP established. �	Customer holds two separate contracts, one with the Architect and one with the Construction Manager (CM). �	Overlapping phases of construction is possible - Design and Build. This can help to fast track the project. �	Pre-Construction services are offered by the construction manager during the Design Phase. �	Clear quality standards are discussed and agreed during design phase. Specifications are still required if will be bid to contractor in bid phase. �	Three types of CM processes create different level of contract detail requirements depending on type of CM process. CM acting as an advisor. No GC chosen prior to bid. CM acting as an advisor with a GC brought in as part of the team. CM also acting as a GC on the project. �	A Guaranteed Maximum Price (GMP) can be established after the design phase is complete. �	If there is no GMP the project is considered to be handled as on a cost plus basis or open book. The GC will then work on an agreed to cost for overhead and profit and the owner is involved in choosing vendors for materials and labor on the project. �	If the project is cost plus, the GC may not provide labor if a sub can do it better or for less cost as agreed to by the owner. �	Early cost estimating input from the CM and GC. �	Architectural and engineering fees are lower if the scope of their work is lower. �	Fewer change orders should be needed if the customer, architect and contractor work together during the planning phase. �	A cost plus arrangement can save the owner money. The owner assumes the risk on a cost plus arrangement. As you know in your business, everything is driven by financial burden and financial return � even business ethics to some extent � if you don�t perform properly, honestly and reliably, no one wants to work with you. It is the same in your construction decisions. Every decision has a first cost and return on investment � even esthetic decisions. Let�s look at this case study from the top down. The roof of the building is a standing seam metal roof in good condition. This type of roof is known for its longevity and continuous good looks and was retained. Beneath the metal roof panels is R=13 batt insulation that is compressed at the panel attachment points. Because the insulation is integral to the roof assembly, insulation replacement is not practical. The new layout requirements of the space drove the requirement for a new drop ceiling. The question is: �Does it make sense to add insulation?� This case study looks at providing an additional eight inches of batt insulation below the existing roof insulation. While adding this insulation does bring the roof up to current standards and will lower the building heating and cooling requirements, there is a 5.3 year return on investment, which is higher than the industry norm of three years. As you will see, however, it does contribute to the ultimate payoff. The existing perimeter wall exterior is a 26 gauge metal wall skin over R=13 batt insulation that is compressed under panel attachment points. The exterior panel system needed to be replaced for esthetic reasons. An exterior stucco look was wanted, that is conventionally attained by providing an Exterior Insulation and Finish System or EIFS similar to Dryvit. Two inches of rigid insulation is normally provided with this system. There is, however, another option, that of providing a prefabricated and insulated metal skin panel system, similar to that used for refrigerated storage. This system can be provided with a stucco finish. This case study looks at providing similar two inch integral insulation in the panel assembly. This decision is relatively easy to make. As you can see, the first cost of the more efficient system is actually lower than the conventional solution � it pays for itself on the first day. The energy savings are a bonus. New interior wall surfaces were also provided for several reasons. The exterior wall surface required replacement, the interior layout required reorganization and the office occupancy required a finished appearance. The question is: �Does it make sense to install wall insulation in addition to the insulation integral to the metal panel system?� This case study looks at providing R=13 batt insulation in addition to that in the metal panel. As with the roof, adding this insulation does lower the building overall heating and cooling requirements, but there is an even higher 8.5 year return on investment. Again, as you will see, it does contribute to the ultimate payoff. The original windows were single pane with metal frames and were inefficient, leaky, �cheap looking� and in the wrong locations for the new layout. Reusing the existing windows was not an option. The question is: �What type of new window should be provided?� This case study looked at new windows similar to the existing, new high efficiency windows of similar size to the existing and larger new high efficiency windows. It is assumed that the original windows had a �U� value of 0.81 and a Solar Heat Gain Factor or �SHGF� of 0.81. The high efficiency windows that were assessed for this case study had a �U� value of 0.33 and a �SHGF� of 0.29. Because the windows had to be replaced, the primary option to replace with a higher quality similarly sized window at a 7.5 year return on investment was selected, but in a different way. The Owner chose to maximize the daylighting of the spaces with larger high efficiency windows while maintaining essentially the same energy expenditure � more daylight for the same load. This decision also contributes to the ultimate payoff, as described below. With all of the energy reduction decisions that were made comes a significant additional benefit. The building is a much tighter facility, reducing infiltration air from the outdoors that must be heated and cooled. Infiltration is often the single largest component in the heating and air conditioning of a facility. In the original building, it made up more than 60% of the heating and cooling load. With all of the improvements, the final scope resulted in a reduction to below 40% of a reduced overall load. While energy was not a driving factor for the initial renovation project, even the practical �face lift� improvements reduced the peak energy requirements to about 70% of the original. By adopting several additional key energy reduction improvements, peak heating and cooling energy requirements were reduced to about 40% of original and the difference in first cost from the base budget will pay for itself in 2.4 years.